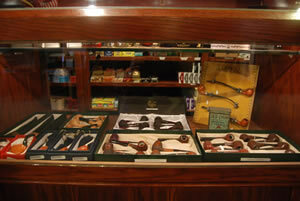 Boyd's Tobacco & Elegant Gifts now carries hand-made Italian Briar pipes from Ser Jacopo and Mastro Gepetto! The small Ser Jacopo shop produces approximately 6,000 per year. The pipes are known for using outstanding Italian briar, which is well seasoned. 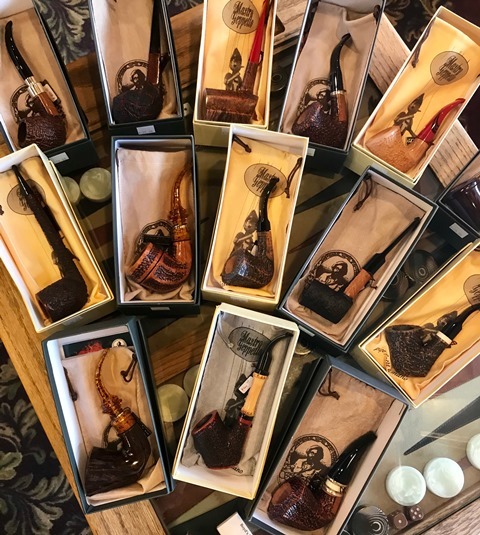 The pipes have earned a well-deserved reputation for having excellent smoking qualities, equal or better than any other fine Italian pipe maker, or for that matter, any other pipe maker in the world. Each pipe is one-of-a-kind. 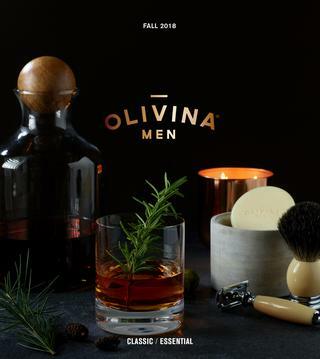 Boyd's Tobacco & Elegant Gifts now carries Olivina Men's Grooming Accessories including shave soap, shave bowls, shaveware, beard oil, body moisturizer, essential oil kits, lip balm and grooming kits! Olivina Men is a range of grooming products specifically created for the modern man: one who is health conscious and practical. A man who wants a daily regimen which is streamlined, yet enjoyable. Our multifunctional products save time without cutting corners. Simple and organic ingredients ensure that you are giving your body what it deserves! All Olivina Men products are Naturally Pure. This means they are scented with natural fragances based on essential oils, formulated to organic, natural, or premium body care standards, free of parabens, phthalates, petroleium, propylene glycol, SLS, packaged in recyclable materials, never tested on animals and are either vegan or vegetarian. Boyd’s Tobacco now carries lighters, cutters, punch cutters, travel humidors, and leather accessories from S.T. Dupont. LIGHTERS: In 1941, S.T. 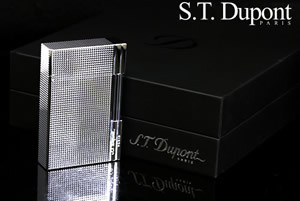 Dupont created the first luxury lighter. Practical and sophisticated, it was also synonymous with elegance thanks to its pure lines, its fine materials and its reassuring, satisfying weight. From the body to the tank, S.T. Dupont lighters are fashioned entirely from a block of solid brass resulting in a hard-wearing object that can withstand the test of time. S.T. Dupont lighters are technically advanced products ensuring maximum reliability: the production of a single lighter requires no fewer than 70 components, 600 operations, and 300 quality control tests. Production time for a lighter is 4 to 5 months. This precious object is adorned with silver, gold, palladium or lacquer. Now a genuine cult item, it has gained some of the immorality that belongs only to a certain Art…the Art of Fire. Boyd’s Tobacco carries a full-line of fe.ro Pipes. Central Italian briar from the Tuscany region is used exclusively in the fe.ro pipe production. This high grade briar, recognized for its rich grain, is put through an elaborate aging, manufacturing, and production process. The combination of quality and look delivers a superior product, resulting in a sweeter, dryer, and better smoking pipe. 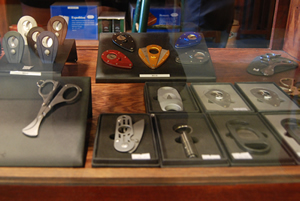 To accompany your premium pipe, we also have an extensive collection of pipe tools, furniture, and cleaning devices. Xikar lighters and cutters are the ultimate cigar accessory. At Boyd’s Tobacco we offer a full-line of all Xikar products, which come with an unconditional lifetime guarantee. Whether you are looking for a torch lighter, windproof lighter, double blade cutter, cigar travel case, ashtray, or humidification, we have it all! Additionally, we carry many other brands of cigar cutters, lighters and accessories including Zippo, Evertorch, Jetline, and more! Come in and take a look at our new humidor selection and display! Our wide selection of deluxe humidors features a variety of designs, styles, and sizes. Your cigars will have the perfect environment for aging, as all of our humidors are carefully crafted using the most premium and exotic woods, and lined with Spanish cedar. 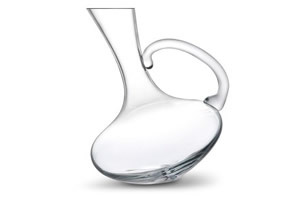 Connoisseurs around the world recognize Waterford as a synonym for fine quality crystal. 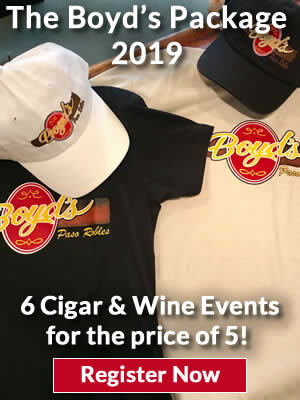 Boyd’s Tobacco holds many hidden Waterford treasures and collectables. 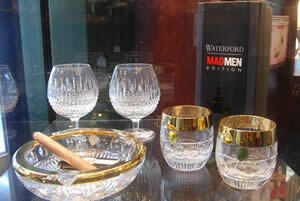 Each piece of Waterford is watermarked, a signature indicating the name of the finest crystal in the world. Our collection includes candlesticks, champagne flutes, crystal frames, vases, barware, stemware, giftware, decanters, bowls, vodka sets, and more! 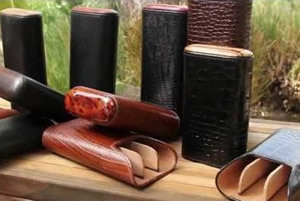 By sourcing the world’s finest leathers and woods, and committing themselves to hand-craftsmanship, Brizard & Co. creates a line of cigarphile-worthy accessories that will enhance the ritual of cigar smoking. Made in the USA, the Brizard & Co. collection includes cigar cases, lighters, cutters, ashtrays, flasks, card holders, valet trays, humidors, new money clips, and more! In 1928, intrepid inventor Julius Lowenthal created the world's first semi-automatic lighter - a pioneering mechanism that would change the way we use and understand lighters forever. It was the beginning of a long heritage of innovation and thoughtful design. Almost a century later, Colibri brings you the same focus that made it a world-renowned brand. 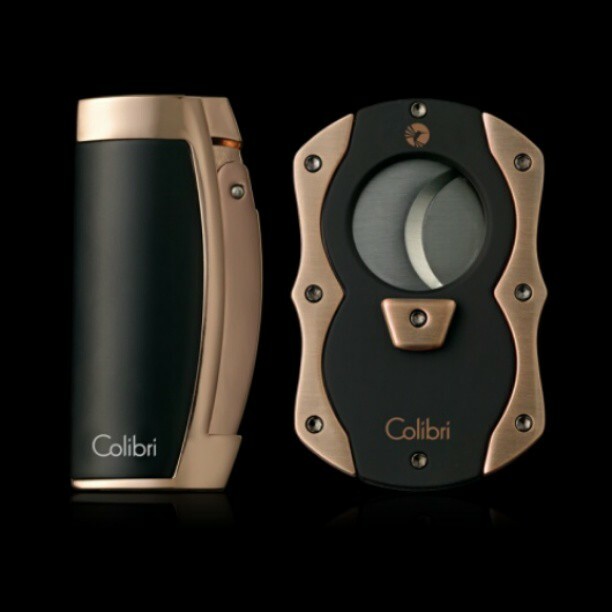 Today, Colibri is inspired by a simple ideal--clean and sharp design within their premium cigar lighters and cutters. Each Colibri product is purposely designed and engineered to our exacting standards. COMMITMENT TO QUALITY: Colibri's committment to quality is reflected in every product they make; each one individually tested to earn the Colibri hummingbird stamp. Premium designer branded stainless steel jewelry created by Matt Booth. From humble beginnings to the launch of a complete line of custom collections, the Room 101 Brand is comprised of distinct pieces that are made in the old world way; one piece at a time. Over the years, the Room 101 Brand has been featured in top lifestyle fashion, and specialty magazines worldwide as well as making several appearances on major network television. 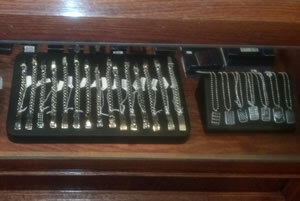 Jewelry includes bracelets, dog tags, cuff links, and signature Guy Fieri jewelry. 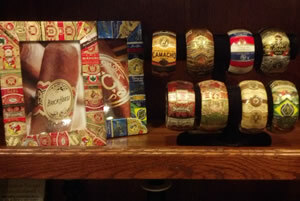 These beautifully colored bracelets and picture frames are decorated with cigar bands! Each one is unique and completely handcrafted by Charity. 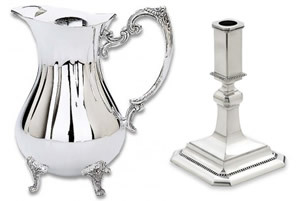 Whether it be a Christening, Wedding, or Birthday…Boyd’s carries an extensive line of Reed & Barton gifts, including sterling and silver-plated products such as baby grooming brush sets, bread trays, silver champagne buckets, Christening banks, copper and silver frames, silver piggy banks, silver serving trays, silver water pitchers, flatware, steak knives, and more! Boyd’s has a brand new selection of wine themed gift items, including cheese boards and serving knives, The Original CORK CAGE ® Cork Holders, wine decanters, wine glasses, wine charms, wine picnic packs & totes, wine openers, corkscrews, wine stoppers & pourers, wine preservation, cocktail napkins, ice buckets, racks & holders, decorations, cleansers & brushes, and more! Not sure what to get that special someone, who has everything? 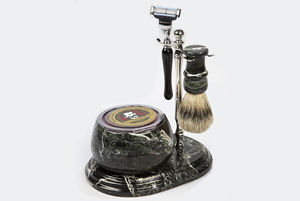 Look no further, here at Boyd’s we have bar sets, book ends, clocks, cuff links, desk sets, flask sets, money clips, wallets, manicure sets, moustache grooming sets, moustache wax, shave mugs, shaving sets, shaving soaps, and more! Nothing is more fun than getting together with friends and family and playing an old fashioned board game! 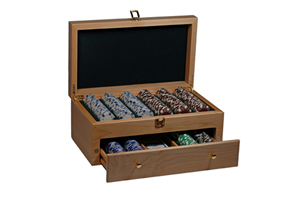 We have Backgammon, Mahjong, Poker Sets, Tic Tac Toe, and Chess Sets, Cribbage, Dice, Dominos, all made from wood!